We’ve had floods, we’ve had freezing, and we’ve even had some nice weather so far this winter. Here in in Oregon’s Coast Range, the lilacs are in bud and the daffodils are sending up shoots, as they always do in February. For us, at least, the worst of the winter weather is likely over. Our egg production is increasing by leaps and bounds. The hens didn’t much like it when their water was frozen, and the ones on the back pasture were put out when the flooding put water a couple of inches deep around their houses, and the soggy ground made it hard to get feed out to them. But the main thing is the increased day length. Even though the days are still short, the fact that every day is longer than the day before has a powerful effect on our hens and their egg production. Corvallis is fortunate to have an indoor winter market, which opens in mid-January. It has more customer every year and now gets positively crowded! So we have an outlet for face-to-face sales of fresh eggs as well as frozen chicken. (Why frozen? Because raising pastured broilers in the winter is a little iffy, so we raise extra broilers during the rest of the year and sell them in the winter.) Other vendors have cool-season vegetables, root crops, nuts, and many other products. Every week will include more fresh vegetables. Our baby chick season is about to start. We’ve brooded chicks in every season, including the depth of winter, but this year we chose to allow our brooder houses to be empty from October through January. 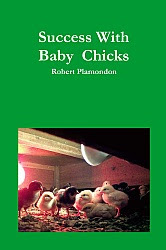 Which means that it’s time to re-read Success With Baby Chicks. Just because I wrote it doesn’t mean that I don’t benefit from reviewing best practices! Other projects, such as raising pastured pigs, will wait until the weather is warmer and the ground is drier. 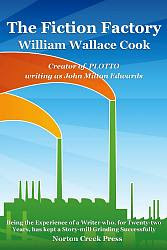 I’m getting busy with my publishing company, with one new-old book out already! 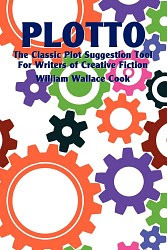 This one is The Fiction Factory by William Wallace Cook, the autobiography of an amazingly prolific pulp-fiction writer (who helped invent science fiction) who is most commonly remembered for his plot-generation book, Plotto, which I republished a few years ago. I have several other books in the works, and hope to have not one, but two poultry books back in print before my March newsletter. Why do I publish books? One reason is that, when I get interested in a topic, I read everything about it. My reading constantly reminds me that the best, most useful, and most readable books on any topic are generally out of print, and sometimes forgotten as well! Sometimes I write books on my own, sometimes I edit books that need some TLC, but often what a book really needs is simply (a) to be back in print and (b) have someone go to bat for it. February is the last of the laid-back, off-season months for most of us. March will introduce baby chick time. Those of us interested in selling eggs at farmers’ markets, though, probably shouldn’t wait until March, since ideally our pullets are laying by Memorial Day, the traditional start of the farmer’s market season. For the rest of us, there’s something to be said for dragging your feet until March or April. Inspired by a similar list in Jull’s Successful Poultry Management, McGraw-Hill, 1943. Look for better stock. Are there better chickens than what you’ve been using? Karen and I tried one more or less commercial-quality breed after another until we’d tried ’em all. Set hatching eggs, if you incubate your own chicks. Remove damp or dirty litter. Provide warm drinking water in cold weather. Laying hens apparently don’t drink as much ice-cold water as they should, and warmer water can result in more eggs. Adopt a sound feeding program. Have you slumped into a feeding program that lacks a reasonable rationale? Fad diets are okay for humans, since we can indulge in “cheeseburger therapy” at will, but livestock have only the options we provide, especially in winter when the foraging is poor or nonexistent. Now is a good time for review. Plan to keep a flock of at least 2/3 pullets (that is, brood enough pullets that you can cull most of your old hens in the fall, when they stop laying). Cold and Snow vs. Open Chicken Housing: Who Will Win? Through Dungeons Deep by Robert Plamondon. I started Norton Creek Press in 2003 to bring the “lost secrets of the poultry masters” into print — techniques from the Golden Age of poultrykeeping, which ran from roughly 1900 to 1950. I’ve been adding an eclectic mix of non-poultry books as well. These include everything from my science fiction novel, One Survivor, to the true story of a Victorian lady’s trip up the Nile in the 1870s, A Thousand Miles up the Nile. See my complete list of titles.